Yesterday I had a meeting with someone about a thing. Before we got started my interlocutor looked at me rather accusingly and, apropos of nothing at all, said “Someone tells me you’re a member of the Liberal Democrats”. This was a decidedly unexpected turn of events. I felt obliged to concede that, yes, I was a member. Indeed, not only am I a member I am a Federal Conference rep. Some might even suggest I’m a grassroots activist. Grassroots, certainly. But activist might be putting it a bit strongly. I felt compelled to stutter and stumble that I’m not one of those “Liberal Democrats” that you hear so much about – the nasty yellow Tories. I’m one of the nice ones who still believe in the balancing liberty, equality and community; that no one shall be enslaved by poverty, ignorance or conformity; and all that sort of thing. The ones who think that every good thing the party has done in Government has to be set alongside its enthusiastic support for Tory policies that are an affront not only to liberal democracy but also, all too frequently, to good sense and rational thought. Alas, my plea of guilty to the charge of Liberal Democracy elicited a look from my accuser that mingled disappointment with disgust. However, politeness dictated it was quickly banished. This episode very much reminded me of Chris Smith’s recent blog post. 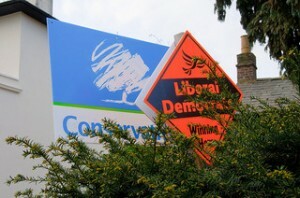 It also got me thinking about how difficult it now is to articulate what the Liberal Democrats are about. About how the Party can genuinely stand apart from the Coalition and its record, rather than just tactically differentiate. Clearly this is something that other members have very much on their minds. This challenge isn’t made any easier by the fact that the party nationally and the party locally can find itself pointing in entirely different directions. That in itself isn’t perhaps news. But it is thrown into sharper relief by being part of the Coalition. Yesterday delivered a paradigmatic example of this issue, just down the road from me. Bristol likes to do things differently. Bristol’s independent mayor, George Ferguson, has adopted a policy of not evicting council tenants who fall into arrears as a result of the underoccupancy rules (the so-called bedroom tax). This policy has been tested in a number of council votes. The most recent vote was yesterday. I think quite a few locally were expecting to see the policy reversed and Bristol fall into line with most of the other main cities in England, which are already moving to evict tenants in arrears as a result of welfare reform. However, Labour tabled an amendment that would maintain the no eviction policy. This amendment included a Liberal Democrat-inspired call for tenants to challenge benefit cuts on the basis of legal points about, for example, what constitutes a bedroom – challenges of a type that have succeeded elsewhere. This is bad law and my party helped make that law. We don’t have the supply of housing for people to downsize and avoid this charge … This is unfair. This is why we agree with Labour colleagues in protecting tenants from eviction. I think the Liberal Democrats locally did the right thing here, although we mustn’t underestimate the financial challenges that are likely to accompany maintaining the no eviction policy. This is just one example. But to me it suggests that anyone observing the current situation from the outside would be hard pressed to say very clearly what it is that the Liberal Democrats stand for. What are the core principles that they are willing to stand up for? And who are they willing to stand up for? Whose side are they on? Not just in soundbites and platitudes but in actions. How does “stronger economy, fairer society” resonate with households’ experiences over the last few years? Does it resonate at all? What can it be attached to which has meaning and doesn’t elicit a quizzical look or a weary roll of the eyes? If the main card we’re holding is the increase in the income tax threshold – which, of course, has no effect on the poorest – then I’m not entirely sure it is the high value card some seem to think it is. The electorate may just trump it by throwing tuition fees, welfare reform, tax cuts for the rich, declining wages, unaffordable housing, rising living cuts, unwanted privatisations and the like back in our faces. * In fairness, it is also worth noting that Conservative councillors did not offer support for the national policy either. Well, guess you need to decapitate your national leadership pretty damn quick. 2015 is rushing up.